Faugères is one of the lesser-known parts of the Languedoc in the south of France. The secret to the wines here lies in the ground. Parts of the region have deep schist soils that produce wines with a seductive perfumed savoury fruit, accompanied by a freshness that makes you want to take another sip. 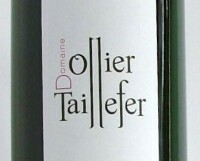 The wines are typically a blend of Carignan, Syrah and Grenache. The Les Collines is a very well-priced accessible wine. Ripe savoury red supple fruits with an appealing freshness. Try with barbecued lamb.